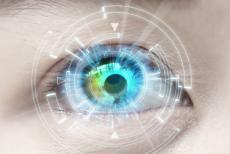 Johnson & Johnson teams up with HP regarding plans for 3D printed Contact Lenses. A recently announced collaboration between tech giant HP and medical manufacturer Johnson & Johnson will eventually lead to new 3D printed devices that will benefit millions. The first of which is likely to be sunlight-enabled personalized contact lenses. According to Peter Shen, the VP of research and development at Johnson & Johnson's vision care unit, the lenses will be designed to provide custom vision and comfort for each individual wearer. Using what's been referred to as a “smart” platform, they plan to embed sensors and microprocessors into the device, and will aim to treat the common vision problem presbyopia. Currently, millions of adults are effected by presbyopia, and turn to reading glasses and multifocal lenses in order to see clearly, both up close and at a distance. Contact Lenses aren't the only item on the docket for the 3D printing project. Orthopedic implants and prosthetics are planned, as well. collaborating with tissue regeneration systems in order to develop a 3D-printed bone graft cage. This is a unique bio-resolvable, patient-specific osteoconductive scaffold. And it will support bone graft placement in very difficult clinical scenarios, for example, where you have a bone void and bone non-union or in cases of bone cancer." All of this is going to take place is a brand new, £270 million 3D printing manufacturing facility that's currently being constructed.